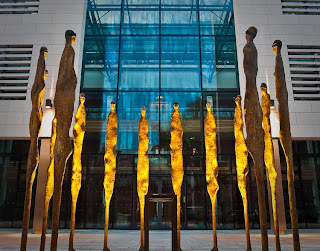 Rowan Gillespie is an Irish sculptor famous for his contemporary works, using the lost wax (or bronze casting) process. 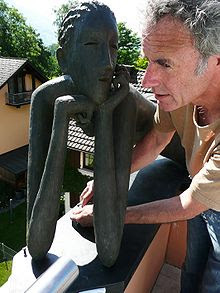 He works totally unassisted and his exhibitions, particularly his site specific works, are now well-known in the world. Born in Dublin in 1953, he lived in Cyprus about ten years during his childhood. He entered the York School of Arts at the age of 16 and then studied arts in Oslo during three years. Rowan Gillespie’s works are exhibited in big cities all around the world since 1977: we find them in York, Dublin but also London, Los Angeles and Stockholm. He started exhibitions in groups and festivals in 1982. After 1997, Gillespie decided to concentrate on his personal works, site specific art and public sculptures. 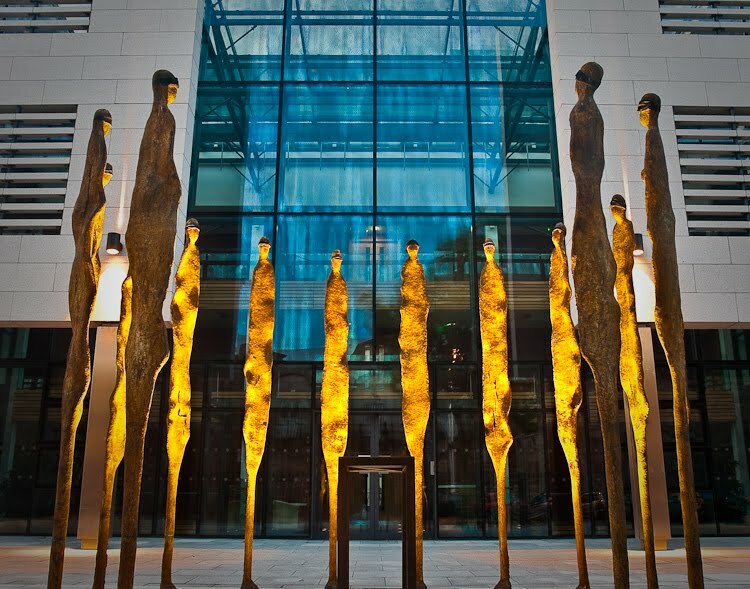 In 2011, the famous sculptor was elected on the board of the Irish Museum of Modern Arts after having been awarded honorary Doctorate of Fine Arts some years before. His most famous works are Yeats, James Joyce, Famine and Proclamation. 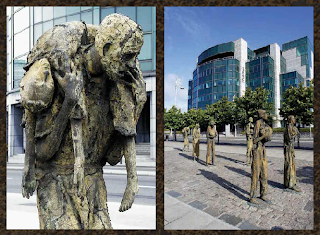 Famine (1997) is the name of a bronze sculpture found in Dublin along the Liffey River. It recalls people the Irish Potato Famine which devastated Ireland in the 19th century, killing about a million people. A quart of the population died or emigrated from the country and this event profoundly marked the Irish community. This is an important theme found in many works of the artist. Famine is a commemoration of the suffering and starvation of this people. Rowan Gillespie tries to portray the human emotions in most of his works and Famine is one of the most famous sculptures because of the intensity of the statues’ expressions. Six horrified faces, six people, men and women trying to escape from this dreadful death perhaps on their way to a ship. Less realistic and more recent, Proclamation (2007) is another well-known work of Gillespie found in Dublin. Inspired by John Lennon’s Imagine and by J. Creed Meredith’s Rainbow in the Valley, the sculpture recalls the Irish emancipation and independence. Fourteen martyrs are put in circle and a copy of the Declaration of Independence is placed at the centre. Bullet holes in the statues represent the execution of people trying to fight for their vision of a better future. “Imagination is the beginning of creation”, the creation of what you desire to happen. There are no different faces, sign of unity, and the multi-faceted surfaces reflect the light in different ways, giving the colors of the rainbow. Proclamation is a fabulous metaphor of imagination and a monument to martyrs who gave their lives for what they thought to be right.